Bath Remodeling & Replacement If your current bathtub is a one-piece fiberglass or plastic unit, we can replace it with a beautiful Bath Fitter acrylic bathtub and matching one-piece wall system. 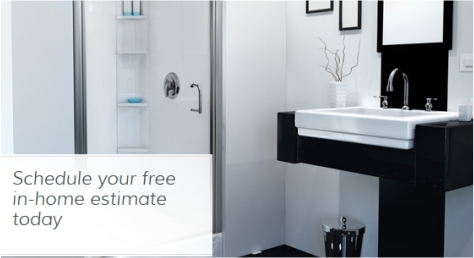 If not, your new Bath Fitter bathtub liner and wall system will be custom-made to fit perfectly over your existing fixtures. We want to provide the kind of service that makes people smile – the kind of service that leaves an impression. If you are satisfied with the process and the end result, then we know we’ve done our job! We are dedicated to providing a quality product, one that is professionally installed by our trained and qualified staff. 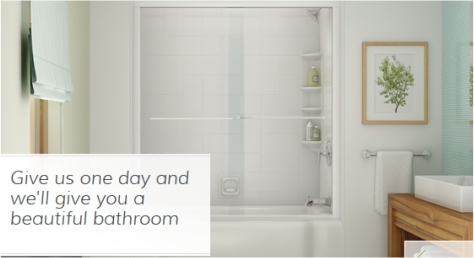 And we stand behind our product by offering a lifetime warranty. Our team includes a group of personable and friendly customer service representatives who are available to field your questions, comments, and concerns. Customer concerns are handled with care. We don’t rest until the issue has been resolved to our customer’s satisfaction.